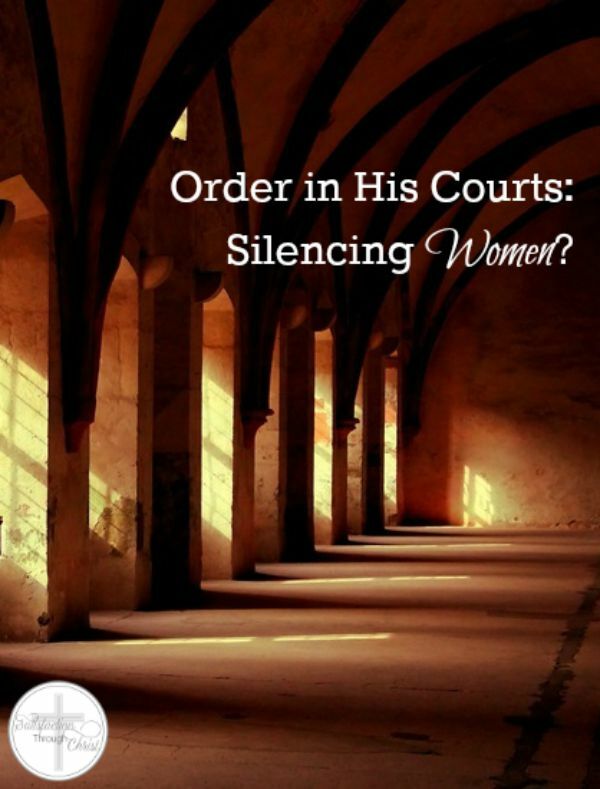 Order in His Courts: Silencing Women? Whew! That’s a tough passage. It stirs up a lot of thoughts and emotions just by reading it. What does it mean? How does it apply to me and to my church? Are Christian women never to open their mouths inside the church building? 1. Do I really believe God’s word has the final say when it comes to what I (and the church) should believe and do? 2. If so, am I truly willing to “put my money where my mouth is” and back up that belief with action and obedience, even if I don’t initially like or fully understand a certain biblical concept or command? 3. Is this passage a tough one for me because it challenges my preconceived notions and opinions? 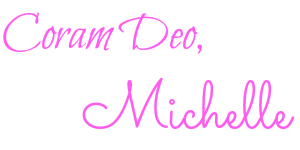 Am I willing to put my ideas aside and hear what God’s word has to say so I can obey it? Sit with those questions for a few minutes before you move on. Pray over them and answer them honestly. The most important thing to remember about rightly handling and understanding God’s word is that we must study it in context. Paul is writing 1 Corinthians as sort of a “user’s manual” of Christianity for the fledgling church at Corinth. Remember, this Christianity thing was brand new to them. The new Christians at Corinth were coming out of paganism or Judaism. They had no idea what they were doing when it came to church and the Christian walk, and they counldn’t run down to their local Christian book store for a copy of “Christianity for Dummies.” They didn’t even have the New Testament yet, for goodness sakes! So, for the first 13 chapters Paul has dealt with a variety of things, from the centrality of the gospel to unity to church discipline, marriage, idolatry, the Lord’s Supper- a smorgasbord of things the Holy Spirit thought the church needed instruction about. And chapter 14 is just more of this type of “Christianity 101” instruction. If you read the entire chapter – which I encourage you to take a minute to do right now – you can see that the overall topic Paul is addressing throughout is keeping order in the church meeting (worship service). He spends the first 33 verses talking about tongues and prophecy and how those should be properly expressed in the service. Whether you’re a cessationist or a continuationist, I think we can all imagine that it would be mass chaos for multiple people to simultaneously stand up and speak out in these ways in the meeting, especially when the first priority was supposed to be listening to apostolic instruction. This theme of keeping order in the worship service carries over into the last portion of the chapter, as well. (My Bible even has a heading prior to verse 26 which says “Orderly Worship”.) The key verses showing this focus on orderly worhship are 33: “For God is not a God of confusion but of peace,” and 40: ” But all things should be done decently and in order.” Those verses sort of “bookend” what Paul is saying here in the passage about women. So, zooming out and taking a “big picture” look at this passage, we can see that the main issue here was not women speaking in church, per se, but rather a focus on orderliness in the service. Paul is trying to establish a structure for the worship service and a hierarchy of church leadership, and one of the main ways he can quickly and neatly cut a lot of the chaos (just as he earlier put limitations on speaking out in prophecy and other languages) is to tell the women to be quiet and hang on to their questions until they get home and can talk freely, in more depth, and at greater length, with their husbands. We can see from the rest of the passage that he doesn’t want men being disorderly either. In fact, he’s trying to create an atmosphere where apostolic teaching can take place that will both answer a lot of the women’s questions and equip their husbands to answer their wives’ questions later at home. So, taking this passage and other passages about God’s design for worship and for men’s and women’s roles in the church hand in hand, it doesn’t seem that what Paul is saying in this particular passage is that no woman can ever say a word out loud in the church meeting simply because she has two X chromosomes. There are occasions when women can speak – in an orderly way – in church, as long as they are not doing it in a way that violates any other Scriptures (e.g. instructing men in the Bible or holding improper authority over men, as prohibited by 1 Timothy 2:12). For example: if you go to a church (as I do) where people are prone to saying the occasional “Amen” when the pastor says something especially important in the sermon, it would not be a violation of 1 Corinthians 14:34 for women to say “amen” along with the men. Neither would a woman be disobeying this verse if she stood up to make a general announcement if the church has a designated time of the service for that. Saying something like, “Just a reminder- we’re having a potluck on the 23rd. We could really use some guys to help move tables, and we need some volunteers to bring desserts,” would be fine. What would be disobedient to 1 Corinthians 14:34 is if she suddenly remembered this announcement during worship service and interrupted the pastor’s sermon to make the announcement. (Sounds crazy, I know, but I actually once saw a man do this in church, which means he was violating the biblical principle of orderliness in 1 Corinthians 14). These are just two small examples. There are probably many other instances in which it would be fine for a woman to say something in church, assuming, as I mentioned, she is not being disruptive or violating any of the other Scriptures that define God’s plan for women in the church. But if there is any question about the biblical appropriateness of the situation, it’s best to have a godly man handle things (in an orderly way) instead. Because the primary focus here, as with any other situation in the church, should not be on how far we can stretch God’s word without breaking it, but on the way we can best glorify God by denying self and submitting to and obeying His word. examining the Scriptures dealing with women’s roles in the church.